Owen Campbell is getting ready to release his first record on our side of the globe. Our Aussie readers might recognize his name from Australia’s Got Talent, where he almost shot himself in the foot during his first audition. Despite the crowd’s clamouring for the judges to just say yes, the judges didn’t get on with Campbell and sent him home. Later, Campbell was given a do-over and was able to make it far on the show, earning him some much-deserved publicity and eventually leading to the local release of Sunshine Road. If you’re familiar with Campbell’s brand of folk-infused blues played with a shot-glass slide on an old acoustic guitar, don’t attach yourself too much to the image – on Sunshine Road’s follow-up and Campbell’s stateside debut titled The Pilgrim, things are a little bit grittier, dirtier, and less acoustic. The Pilgrim opens with the record’s lead-off single, “Wreckin’ Ball.” Though certainly not the albums strongest track, “Wreckin’ Ball” is a solid track that sets the tone for what’s about to come – a rocking record that desperately avoids being overproduced. More and more self-aware artists are becoming wary of excessive production (Jack White’s vinyl release of Lazaretto boasts absolutely zero compression), and the result with The Pilgrim is a record that sounds like the Campbell and company might be playing in your very living room. The subtler moment on this record stand out because of this – the guitar work during the quiet instrumental break in “Remember to Breath” is chilling, and the banjo during “Highway Bound” shimmers. The Pilgrim draws strength from its eccentricity. “Highway Bound” is a folksy banjo stomp, “It Don’t Mean a Thing” is a slow, country-infused ballad, and “Bukhu’s Blues,” easily the most a-typical composition on The Pilgrim, is an eastern drone song and actually the only song on the album to feature Campbell’s signature slide acoustic for the duration of the song (and the only fully instrumental track on The Pilgrim). Campbell’s writing style is not unusual for modern bluesmen, so drawing from an eclectic collection of influences flavours the album without giving The Pilgrim any sense of disorientation. 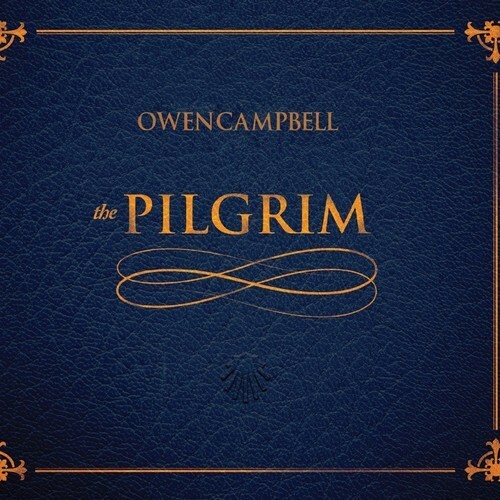 Owen Campbell’s The Pilgrim is a proper next-step for Campbell – it’s time to try a few new things and time to turn up the volume occasionally.